Gurvinder Singh Matharu from Redline Racing and Chennai's Deepak Ravi Kumar bagged the first and third positions in the superbike category onboard the Ducati Panigale V4 S and Panigale V4. 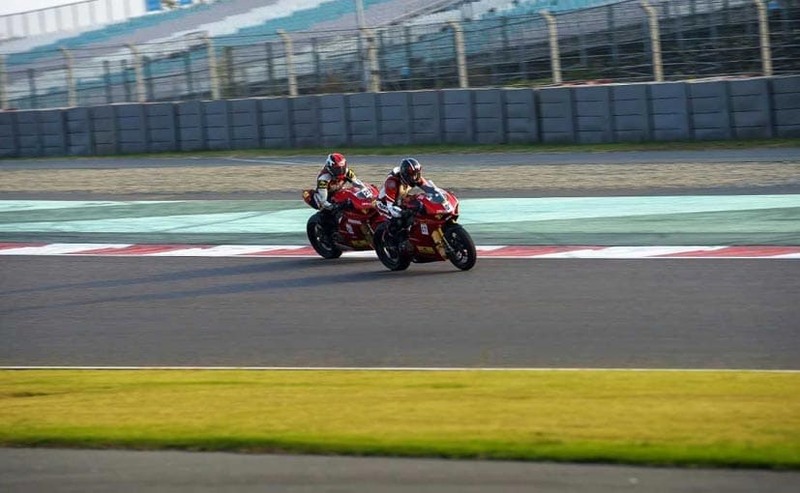 Ducati India had a memorable debut in the 21st edition of the JK Tyre FMSCI National Racing Championship at the Buddh International Circuit (BIC) over the weekend. The Italian motorcycle maker was competing in two categories and swept with podium finishes over the weekend. 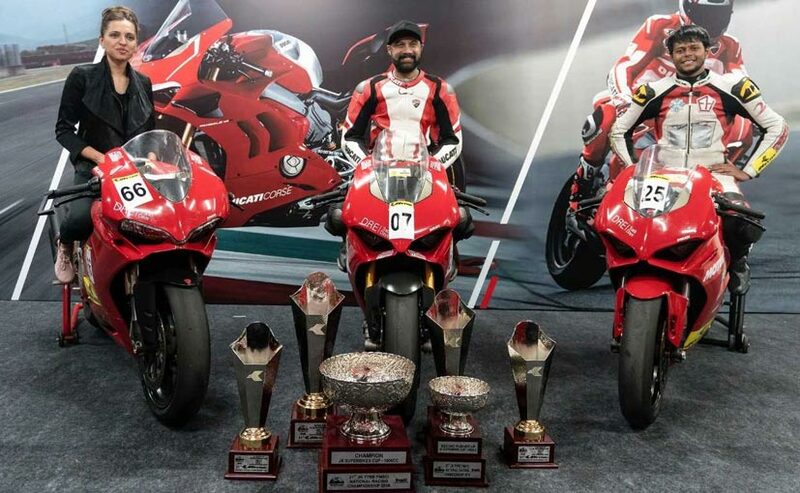 Gurvinder Singh Matharu from Redline Racing and Chennai's Deepak Ravi Kumar bagged the first and third positions in the superbike category onboard the Ducati Panigale V4 S and Panigale V4. Both bikes were competing in the stock setup in the series. On the occasion, Sergi Canovas Managing Director of Ducati India said, "This is the first time Ducati supported riders at the JK Tyre Racing Championship and it turned out to be worthwhile living up to the expectations. We are glad to have Gurvinder and Deepak as our pilot riders on Ducati Panigale V4 S and V4 respectively. Both of them outshined and dominated the race weekend on the Ducati Panigale V4's. We look forward to our participation next year and further showcase the Ducati's racing DNA." The Ducati Panigale V4 is the bike maker's most powerful offering yet and also the company's first mass-produced offering to be equipped with a four-cylinder motor. The Panigale V4 uses a 1103 cc Desmosedici 90-degree V4 motor tuned for 211 bhp at 13,000 rpm, while peak torque stands at 124 Nm available at 10,000 rpm. The motor is paired with a 6-speed gearbox and comes with a host of electronic aids to keep all that power in control of the rider. Ducati picked up five trophies collectively as a team over the weekend. Apart from the V4s, the Ducati 959 Panigale also completed the race, ridden by Neharika Yadav.